Every week Bob Gaughan & Mr. Brutal engage in a cross border competition of picking NFL games against each other with unknown high stakes on the line. When the Browns Art Modelled their way back to Baltimore in a rarely observed in the wild, reverse Robert Irsay migration in 1996 to become the Ravens, …… the people of Northern Ohio were angry. They felt betrayed. They craved professional football. In consolation the NFL let them keep the name and promised to grant them an expansion franchise when it was convenient. For once 345 Park Avenue delivered. In 1999, just three years later, the new Browns franchise returned to the southern shores of the shallowest and most polluted Great Lake. This was because Clevelanders in football mad Ohio wanted football in the worst way. Unfortunately that request was granted literally, a prophecy fulfilled. The Browns returned to Cleveland but pro football did not. The team has consistently sucked with more force than a turbo charged Roomba. Two dozen coaches, three hundred and six offensive lineman & eighty eight quarterbacks later we have DeShone Kizer taking the snaps under center. He looked pretty good against the aging Steelers last week, although the Browns still lost, mostly due to Pittsburgh WR Antonio Brown. Without him, the Steelers would have lost that game. Kizer, the Ohio native and ex-Notre Dame quarterback played intelligently and was not intimidated by the Steelers’ defense however, and the positive preseason reviews of his play didn’t look completely misplaced. Head Coach Hue Jackson has a good offensive mind & appears to be in sync with his young QB. 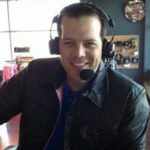 Jackson probably overachieved with Cincinnati quarterback Andy Dalton at his last stop as the Offensive Coordinator for the Bengals in the Queen City. Watching the red dud crap out for the second week in a row Thursday night at home against the Houston Texans drives this point home. That and the fact that former Bengal OC Ken Zampese was the worst man employed at that job in the entire NFL. It is unlikely, but 83 year old owner and general manager Mike Brown should consider replacing Ken with his 81 year old father Ernie. Maybe it’s too late for Andy the Horned Frog, but at least the offensive line wouldn’t screw up simple snap counts and they would learn to execute simple screens and end-arounds. Good, nothing like coming in under the radar. Despite this, a win by the Browns against their evil, traitorous doppelganger twin in Baltimore would quickly put the football team back at the forefront of the cultural zeitgeist in that part of the Buckeye State. Even if they don’t win this game and cover, they’ll still be the best team in Ohio this year. 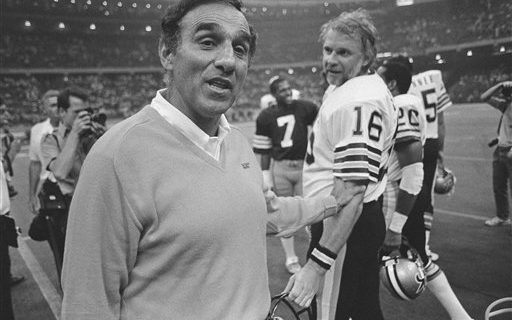 “Where have you gone Sam Rutigliano? A lonely nation turns its eyes to you, woo, woo, woo. Koo Koo Ku Ju, Browns! The Bears don’t like the heat, the rain or playing good young teams with a future. It’s extremely depressing. Strictly a momentum play. The Vikings looked better in their victory over the Saints than the aging Steelers did over the Browns last week. True it is outdoors and nobody can trust Sam Bradford who has been injury prone since high school, …. but not for the last year! Reuniting him with Offensive Coordinator Pat Shurmur who guided him previously in Saint Louis and Philadelphia sure looks like it has paid dividends already. We are thrilled to see that Mike Pereira has a new protege in the operations central command centre to expand upon the most exciting aspect of NFL broadcasts. Now we have two ex-officials to simultaneously peruse, interpret, opine, argue and bore us to tears over every blade of grass or rubber field turf that might or might not be in bounds on every stinking play from scrimmage. “Lawyer Ball” at its finest! All the NFL needs now is a third member who is bald and ironically named “Curly” to round out the act and hope the Syndicate who owns the rights to 1930’s Columbia Shorts doesn’t come knocking for royalties or copyright infringement. In this game between 0-1 teams, we don’t figure the privileged Patriots will be getting as many calls from the officials as other years. The Saints need it more, they are at home and there is always the possibility of food poisoning from dodgy gumbo for the visiting team. Tough call. Steve Miller’s “Fly Like an Eagle” Eagles against Gary Glitter’s “Rock and Roll Part Two” Chiefs. We don’t like either song much or either artist. Steve Miller is widely recognized as having one of the biggest egos in rock and roll. …. and boy that’s really saying something. He is however one of the most important figures and seminal, influential musicians in the history of the genre. If you don’t believe me, just ask him! We mistakenly kind of did once, and had to listen to two or three hours of self aggrandizement that would have made Kanye West, Kenny Loggins & Debby Harry proud. Now that he is in the Rock and Roll Hall of Fame, and his long national nightmare is over! ….. look out! this ‘Joker’ has been legitimatized. Nobody is safe from this older brother version of Russell Crowe buttonholing you in an airport and explaining his lengthy, revisionist version of Rock history while you try to plot your escape. On the other hand, Gary Glitter (Paul Gadd) is a convicted child molester on two different continents. Recently consumer credit monitoring agency Equifax was hacked by a sophisticated crew of Russian and/or Bulgarian trolls. This has been a major violation of the privacy of over 140 million Americans. The potential grief, chaos and potential criminal activity fallout is only now starting to seep in. It won’t quite take a hacking effort of that magnitude for Jacksonville Defensive Coordinator Todd Wash to decipher the playbook of “Ground and Pound, only throw it on Third and Long” HC Mike Mularkey of the Titans. What a waste of a talented, special young quarterback like Marcus Mariotta. Recently during a preseason broadcast we had the treat of watching and listening to Colts’ owner Jim Irsay go on and on about what a great potential season this could be for the Colts. He sounded like the ultimate Pollyanna, and maybe somebody who was tripping. We shouldn’t infer that the Drugstore Cowboy was off his meds, wagon or rocking chair, but he sure sounded odd. Inferring that the absence of QB Andrew Luck and the unknown quantity of time that this might entail was no big deal, he seemed contented with the state of affairs of his football team. His new outlook that everything was peppermints and unicorns in Colts’ land was a fascinating exercise in Walter Mitty optimism. If that is indeed all this was, more power to the privileged son of the carpetbagger who first betrayed the city of Baltimore. He has obviously found his own process and self-help philosophy that will rival the biggest medicine show practitioners of that occupation. Hooray for Jim Irsay for finding inner peace, but his Colts may still be the worst team in the league. Carson Palmer may be aging, …. and he may be less mobile than Auguste Rodin’s “The Thinker,” but he and the Cardinals should still beat Indianapolis. However, without their starting running back, they won’t cover. Were the Bills any good last week or are the Jets that bad? We don’t know, but one thing is for sure. The Bills will run the ball more than Oklahoma, Arkansas & Nebraska did in the Wishbone Era. This should eat the clock and keep it relatively close, so we’ll pray for a backdoor cover. Former NBA star and current legend in China Stephon Marbury wants to return to the NBA and play as a forty year old. So far no takers, but the way things are going, he could start for the NFL’s Jets before Colin Kaepernick gets a call. “Is Jay Cutler going to start? Really? This isn’t a joke? Finally, in the aftermath of everything including the second of the ten plagues of Egypt that hit Florida last week, the Dolphins head west to challenge the Bolts in California. They’ll be playing in a Los Angeles soccer stadium with less fans attending than at a Rutgers Scarlet Knights practice in the rain, but that shouldn’t matter. Fickle Southland fans have less loyalty than the collective accomplishments of Guy Fawkes, Brutus, Judas Iscariot, Benedict Arnold and Ephialtes of Trachis,* …… but this will not deter the intrepid Phillip Rivers and the San Diego Exiles from attaining their first win of the season. We thank the fates that Hurricane Irma wasn’t much worse and the loss of life wasn’t more horrendous and truly escalated to the Biblical Proportions that some postulated. We also thank the unknown entities that guide us for blessing us with our infallible memory that does not allow us to forget our bookie’s phone number. We will take the NFL’s version of the Duggar Family Patriarch; Phillip Rivers and his extended brood of gypsies over Jay ‘Marlboro Man’ Cutler and the Meek and Mediocre Manatees of Miami. A big wager on Rivers, Gates and The Syrian Refugees from San Diego. Seattle got screwed by the officials last week in Wisconsin, but their offense was still horrendous. The offensive line is truly, literally offensive and looked like it was put together on a dare and not with any football acumen. Until that side of the ball shows signs of life, there is no way we take them by this many points over a division rival who usually plays them tough. Perennial ‘Franchise Tag’ poster boy Kirk Cousins and the politically incorrect “Sanguine & Vermilion Epidermises” head to the land of empty football stadiums to play Los Angeles. Amazing what hiring Wade Phillips as your DC and jettisoning dead wood, ‘living off one season for two decades at Tennessee an eon ago,’ head coach Jeff Fisher has done for the Rams. Even QB Jared Goff has looked pretty good, although Head Coach Sean McVay and Offensive Coordinator Matt LeFleur are smart enough to guide him slowly and live off their defense first. In other Los Angeles news, Laker Legend Kobe Bryant wants not one, but both of the jersey numbers he wore with the team retired. In related news, a recent proposal in Eagle, Colorado to have July 1st declared Kobe Bryant Marital Fidelity Day was narrowly defeated by the town council. Can we stop with the propaganda that Dallas running back Ezekial Elliott’s restraining order preventing his league mandated suspension puts him up on a plateau of fighting injustice among Dred Scott, Rosa Parks and Thurgood Marshall? Nobody likes the hypocrisy, overreach and condescending arrogance of the NFL, Commissioner Roger “Goody Two Shoes” Goodell or his cadre of sycophantic shills in New York. The only thing worse is the hypocrisy, overreach and condescending arrogance of Cowboys’ owner, general manager, chief scout, and football guru Jerry Jones. The altitude, a Northwestern educated quarterback and that Bronco defense give Denver the edge. William Tecumseh Sherman and his Union Army razed Atlanta to the ground during their march to the sea to help finish the American Civil War ( at least finish in a military sense). Aaron Rodgers and the Pack would love to symbolically repeat that result in Atlanta, but that is doubtful. Atlanta struggled in beating the Bears in Chicago last week, but John Fox teams always plays the defensive side of the ball well. We’d like to say the same for Green Bay but that would be a fantasy. We hate to say this, but DC Dom Capers’ systems, schemes and personnel choices are all questionable and there are whispers in Wisconsin that he is past it. In Georgia, nothing is past it. The current Civil War statue debate has hit new levels of intensity in the Peach State. People have long memories in the south and don’t forgive or forget easily. Unsurprisingly, there are no non predominantly African-American schools in Georgia named after Lincoln, Grant or Sherman. With appropriate regional cultural sensitivity, we understand. In a certain sense those specific Americans are seen as traitors who destroyed a way of life they hold dear. They unforgivably undermined States’ Rights. What a stellar Monday night match up. The highest paid and now subsequently most overrated quarterback in the league against the one who never takes responsibility for losing. Oh well it looks like Chester Check-down Manning will have WR Odell Beckham back, Giants probably win, but we’ll take the Motor City Leos to cover with the hook.